Marketing Strategies to Grow Your Business, Clients, & Customers! If you are an entrepreneur starting your business or a veteran business owner who is ready for more growth, then the number one area for you to focus on is your marketing. It can be a bit daunting to know where to start with your marketing strategy or more so where to focus to get the best results, so as a business coach I will share some of the best marketing tips for small business owners and online businesses. In order to help you get started with the marketing of your business, you need to determine and answer a few questions first. Where does your target market hang out or where can you find them? For example if your target market is B2B (business to business) your best online social media option would be LinkedIn. If your target market is twenty to thirty five years old in age, you could find them on Instagram. Now I have mentioned two online options of where to find your customer, but where would you find your target market offline? Make sure you include both online and offline options of where you can find your target market. What are your strengths as a business owner and business in terms of where your value can be demonstrated the best? For example a ‘how to’ teacher or trainer may be best on YouTube or blogging. A visually aesthetic brand would be best on Instagram and if you like to share and go live or want to engage with your community in a group, Facebook or Facebook Groups is a great option for you. Match your marketing strategy and the platforms you choose to your strengths as an entrepreneur and to the strengths of your business as well. What are the goals of your marketing strategy and what results do you want from your marketing efforts? If you are an online business, then one of your goals may be to grow your email list or send everyone to your website. If your goals are to become an influencer or thought leader, then you would want to position yourself as an expert in your industry. If you want people to experience and see your services or product, then your marketing strategy would include video. Determine the outcomes and results you want your marketing strategy to produce. Now that you have made some marketing decisions that align with your strengths as an entrepreneur and with your target market and brand, you are ready to market with purpose. You now know where to market and your marketing goals to position yourself, but do you have a clear message and focus of what you want to share with your audience? Who is it you serve? How do you help them or what problems do you solve for them? You are not marketing what you do, you are marketing what the benefits of your service or product are to the potential customer. What is the energy or emotion they will experience with you, your product, your service? This creates your brand experience. How will you communicate your vision and mission in your marketing? Your Why and Story will drive and attract your tribe. How will you share this or take them along for the journey? Once your message is clear and you feel confident with you it, you are ready to market your business! The next step includes choosing whether you will do advertising or organic reach methods or both. No matter which one you choose the next marketing strategy lesson here is the ruler for visibility, attraction, engagement, and conversion. Content marketing is all the content your business shares to educate, inspire, empower, and entertain. Yes, creating content is a lot of work, but if you have the passion, knowledge, and skill or great products the content will come easy. Then the next step is creating systems and flows to your content marketing to make it efficient. You can also re purpose content on various social media and marketing platforms. Content Marketing will grow your business! Now the key with content marketing is consistency and when we say consistent content marketing, it needs to be at least weekly on some platforms like your blog or YouTube and daily on other social media platforms if you want aggressive, fast growth. Make sure to optimize this content with tags, hashtags, and SEO so that it can be found. Above I have listed a variety of options for you; however you will need to develop your content strategy and a content calendar to set you up for success. In addition, to raising your visibility, follow my 4C approach to gain new clients, customers, and followers. Here is how you can start applying and implementing a marketing strategy that will produce results and feel great! Content: Create highly engaging, educational, and entertaining content and a lot of it daily and weekly. Ensure the quality, so quality before quantity. Sharing valuable content that serves your clients and solves their problems will bring great results for the growth of your business. Connect: Truly connect to your clients and this requires you knowing them well; in fact so well, you know their fears, their thoughts, their dreams, their pain points, their lifestyle, and who they want to be, how they want to live, and how they want to feel. Connecting to your customer or client means speaking to their heart authentically and genuinely in all of your marketing. It’s not about you, it is about them and how you can help them get what they want. Communicate Clearly: Does your customer and do your followers know what you do or what you offer? Do you have clear call to actions in your marketing that leads your customer to knowing exactly what the next step is or how to proceed with you and your business? Having a clear message, a clear offer, and clarity in your ask will enhance your customer experience and conversions. Continuity of your message that is spoken in your marketing or continuity of your purpose is important as they will know exactly who you serve and how you can help them. Consistency: Your marketing needs to be consistent. Outside of content, consistency will be the next largest driver of your results as long as all of your messaging and offer is all on point. Consistently show up for your customers on a regular schedule whether it be weekly in a newsletter, weekly on YouTube, biweekly in a blog, or daily on social media. Give your customers a consistent time they know to expect your input to help them with their problems or their goals! 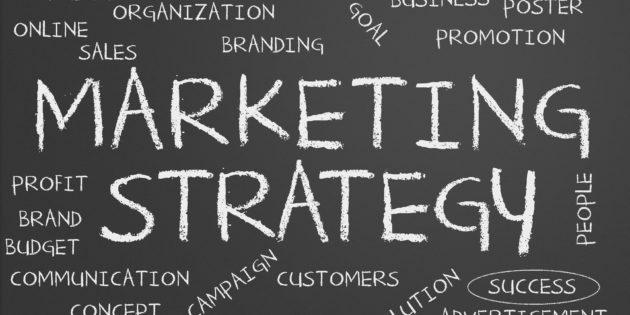 Marketing is such a broad topic in building your business that the points here are a great starting place for you to begin growing your business, but you will need to personalize the strategy for you and to your business. One last final note about your marketing strategy that can be a block for a lot of people, is marketing yourself and feeling confident in being visible on video or in photos. If this blocks you from moving forward there are a variety of options that will help you like public speaking training, confidence coaching, and image consultants. The first step is addressing this is an issue for you and taking steps to move forward with it. Don’t let it stop you from getting your message, your mission, your business, and you out there! If you would like a more personalized marketing strategy specific to your business, I specialize in coaching service based businesses, health and wellness business owners, solopreneurs, creative entrepreneurs, and heart centered entrepreneurs in growing their business with authentic marketing strategies. In addition, as a ACI certified Confidence Coach I empower entrepreneurs with confidence to be seen, spread their message, and share their expertise powerfully for impact! To learn more and develop your own business marketing strategy or gain confidence to market yourself and your business, contact jody@jodykennett.ca.